It's been a while since I have updated the site, and I just wanted to show you all what I've been working on. The book that was being blogged here on this website, Small Town Ravaging, is now available through Amazon's company, Createspace. To see the listing and get the full story in printed format, go to https://www.createspace.com/3717832 or simply click the image to the left. Thank you all for reading! To review the sample chapters available of Small Town Ravaging, use the 'Table of Contents' tab. 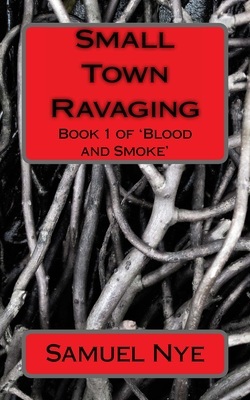 For updates and promotions on Small Town Ravaging, check up periodically on the blog under the Small Town Ravaging tab.